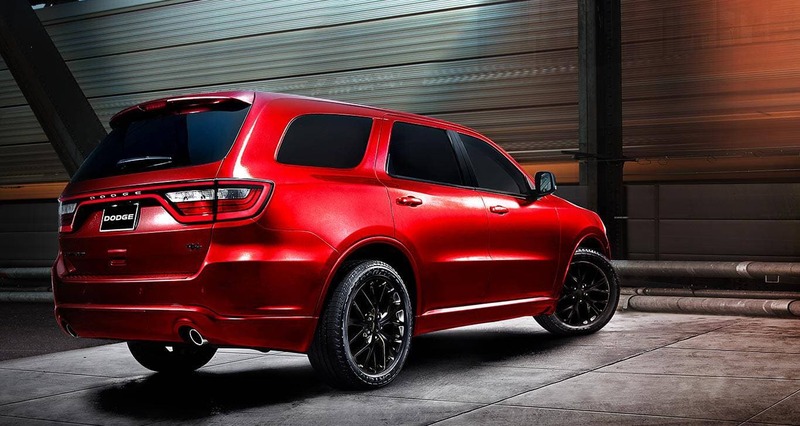 The 2016 Dodge Durango is an amazing mix of driving durability, technology and reliability. The vehicle takes advantage of the technology it has available to it in many great ways and has a luxurious style sense. The hauling and towing range ranks high within its segment and is a solid selection for a utility vehicle that can seat seven-passengers comfortably. The Durango models have exterior features that have updated as well as upgrades to the inside Uconnect system. It has four exterior colors that are updated for the 2016 model year as well as updated wheels that are standard on all Durango models this year. There is no doubt about it. The Durango's Pentastar engine is a work of art. It has been features on Ward's Best list for engines for a few years straight and it comes standard on the 2016 Dodge Durango. The Durango uses a Pentastar engine that has won awards in recent years and is very performance oriented. The version being used here is a V-6 with 290 horses and 260 lb.-ft in torque. Relying on this the Durango can tow 6,200 pounds capturing best-in-class. On one tank of gasoline you can go 600 miles with this amazing engine. Another choice in the engine department is the V-8 HEMI, 5.7 liter 360 horsepower and 390 lb.-ft. of torque. 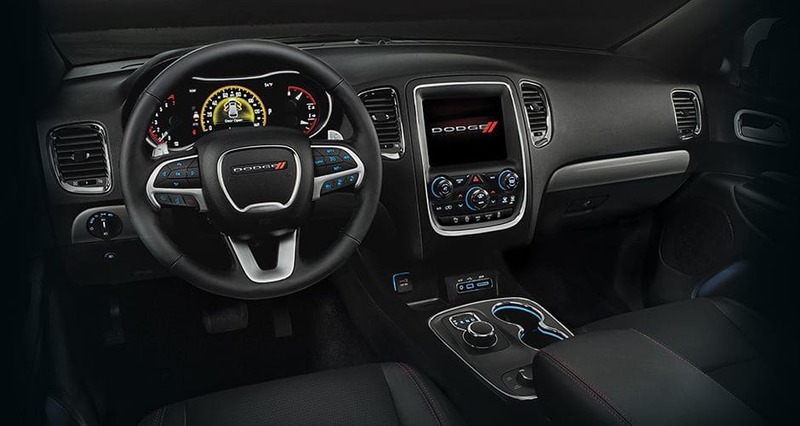 The inside of the Durango has a choice between a 5 inch or 8.4-inch touchscreen that comes with the great Uconnect technology. The operator gets a fully changeable screen that measure 7 inches and can show important data. A huge plus is the ability to choose the Blu-ray video screen upgrade. These screens can display entertainment from across many media forms. The screens are on the back of the front seats, come in high definition and are 9 inches across. They work out well for viewing movies, shows or even playing games. The exterior of the 2016 Durango is crafted to display advancements in technology as well as flexing its muscle and upping confidence levels. The drivetrain is rear wheel based which helps with overall performance. The Durango and the Dodge brand are able to offer all-wheel drive which takes positive advantage of the weight distribution being very even throughout the total vehicle. There is also a feature called Eco Mode which assists in controlling and optimizing the shifting schedule of the transmission as well as the sensitivity of the throttle while helping to get the desired goal of fuel efficiency improvements. Can you help me find financing for my 2016 Dodge Durango? Durango and the Dodge brand overall have not taken any aspect of safety and security lightly. This year the vehicle comes with more than 60 features that will help with all of your needs. Some of the equipment coming this year are such things as: Blind-spot Monitoring, electronic stability control, traction control, trailer sway control, adaptive cruise control, side and front air bags and much more.